Earlier today I told you about the new app about being able to create categories for your books on the Kindle Fire. Many of you have graciously purchased it and were able to get it to run without any issues, and I am glad to hear you are enjoying it! However, many of you have sent me emails and left feedback on the social media pages and reviews on the Amazon website it is crashing and causing problems. Please know I have purchased each version of the app from the Amazon App store and successfully downloaded it to each version of the Kindle Fire – in some cases multiple units of the different versions of the Fire – and I am unable to replicate the crashes some of you are experiencing: it did crash on one of the Kindle Fire HD’s I have that had over 600 books on it on the initial install, but I restarted the app and was able to chug along without any problems. And yes, I did test it before I told you about it! That may be some comfort to some of you, but I’m not telling you that in an effort to minimize the problems some of you are having – I believe you when you say it is crashing, and we’re looking into it and if we can replicate the crash we can quickly get a revised version up and running in the Amazon App Store. Just three more hours to enter for your chance to win the Kindle Paperwhite with 3G! You can’t win if you don’t enter! Click here or type in http://bit.ly/RyXmMb into your web browser to enter the giveaway. Book Categories / Collections Available for Kindle Fire! Many people have asked me over the past year – including my own family – why I don’t read books very often on my Kindle Fire: I primarily read on my Kindle Keyboard or Kindle DX, although the Paperwhite is trying its best to take their places. The main reason was the Fire does not allow you to organize your books into genres / categories as all of the books are lumped together on one endless bookshelf after another on the carousel. I’m not the only one who has a complaint or annoyance with this, as I can’t tell you how many discussion board rants and posts I have read of people wanting that functionalty: it’s how I organize the 100+ books I have in my electronic “to be read” pile on my e-Ink Kindles and is something I consider a must-have with an e-Reader. I kept hoping Amazon would release a software update and implement the feature, especially with the new versions of the Fire that came out this past month, but they never did. Well, I decided to bite the proverbial financial bullet and hired a group of talented app developers to design one for me –they came through, and now it is available in the Amazon App Store. Right now, there are two versions of the app – one for the first and second generation Kindle Fire and another for the Kindle Fire HD. You can check out the version for the “regular” Kindle Fire if you click here or type in http://bit.ly/firecollections into your web browser. You can check out the version for the Kindle Fire HD if you click here or type in http://bit.ly/collectionshd into your web browser. If you look at the picture, you’re able to see five categories I created, but if you were sitting in front of my Kindle Fire and swiped down the screen you would see others. The little icons on the shelf represent each book I have in a particular category – you can change the color of the book icon’s spine if you want if you want to further classify your category or if you want all of a particular category to be blue, red, green, etc. On my Kindle Keyboard there are 23 categories, and I imagine there will be something similar on my Kindle Fire HD when I am finished. From this screen, you would then tap the “Move to Category” line and put the book into whatever category you desire. Can’t make up your mind or decide where it should be? That’s okay – you can put a book in as many categories as you want. For example, I have many books categorized in both “Mystery” and “Thriller.” The key here is you as the user decide – not me or a random computer. If you change your mind on a category, or realize down the road you may have misspelled a category, you can either move the book to a different category or rename any of the categories. Once you have created a category and put a book (or more) into it, you can check it out: the picture below is what I have started with the “Mystery” category on my Fire. I have a ways to go on finishing my uncategorized books! Once you are in this category – or any other category within the app including the “Uncategorized” section – to get started reading just tap the icon of the book and the book will launch. And yes, for some of you who are wondering, while software limitations won’t bring them directly in to the app to look at, you can still see a book’s stock cover image once you launch the book! I imagine my Fire will have a lot of books on it now, as I have a lot of things in the electronic “to be read” pile! In case I have too many to quickly find a particular author, title, etc., the app will sort them by various parameters like the author’s name or book title to minimize your time hunting and maximize your time reading. Once you’ve finished reading for the day or that session, tap the middle of your Fire’s screen once to bring up the menu at the bottom: make a note of your location or page number then tap the back arrow one time. A dialog box will then open up where you can type in the location or page number. Going back to your category screen, you will see the last location you just input (see the screen above – they all say Location 1 because they have not been read on the Fire I used to take screenshots). That way, you will know where you are in the book while perusing your categories. Why is that important? The Kindle reader, when launched from the app, automatically goes to the first page vs. going to the last page read: that’s a block with the Fire’s operating system the technical team couldn’t overcome (and they tried mightily). Now that you know what page / location you last read, when the book opens just drag the book progress / slider bar at the bottom of the book’s opening screen (it opens up automatically when you open the book or tap the middle of the book’s page on your Fire) and quickly go to your page. One final thing: rather than having to open up a new web browser or use the free app for the blog to see the free book offers and tips, if you have an available Internet / Wi-Fi connection you can access it directly from your Fire. Just tap the “Free Kindle Books and Tips Blog” icon at the bottom of the category screen and you can grab the freebies right there. I tried to make it simple in the design – one app to categorize and read books, as well as the same app to read the blog. No, unlike most of my other offerings and the original app this one is not going to be free: I need to pay for the programmers (they don’t work cheap) and remember, I’m still trying to see if I can make blogging a full-time enterprise. I’ve initially priced it at what I think is both economical for the user without trying to gouge anyone as well as at a price point where I think there could be some nice sales volume that will allow me to make a profit after I pay the programmers, Amazon takes their percentage, and the US government takes what they believe is their fair share. At just $2.99, I hope you will give it a try and, if you do, I believe you will get a lot of value out of it! If you do like it, I would appreciate a positive / favorable review on the Amazon website. If you think I missed something in the design or there is something wrong, please shoot me a note (michael at fkbooksandtips dot com) as the technical team and I are already compiling a list of future enhancements. If you have read this far, I appreciate it – thanks for sticking with me over the years! What started out as just a fun way to share the free Kindle books I heard or read about during the week with a handful of people a couple of years ago is slowly, but surely, growing and turning into something I hope can be a full-time job! Are You Ready for a New Kindle Paperwhite? I’m going to remind you several times today about this for not only the new people to the blog but for you procrastinators! Okay, you’re sitting at work right now (come on, admit you’re looking at this vs. working)….have you entered? If you have, why not pass this on to your co-workers so they can enter, too? Look at it this way – if more of you at work have Kindles to read during your lunch break, you can share what our reading, start a mini-book club, who knows? Think about this: if YOU win the Kindle Paperwhite with 3G, you can take it to the office and then your co-workers with “last year’s” Kindle can suffer through Kindle envy why you sit back and smile! Just 11 more hours to enter for your chance to win the Kindle Paperwhite with 3G! You can’t win if you don’t enter! Today’s Free App of the Day is It’s the Great Pumpkin, Charlie Brown and this interactive game / book is normally $3.99 in the Amazon App Store. Oh, Great Pumpkin! Where are you? This Halloween, hang out with Charlie Brown and the entire Peanuts gang to find out for yourself! While Linus and Sally wait for the Great Pumpkin, you can join Charlie Brown at his first-ever Halloween party! Trick-or-treat with Lucy, Pigpen and the rest of the gang. Play a little ditty on Schroeder’s piano and bob for apples with Snoopy — just watch out for dog germs, blech! Halloween special is beautifully re-imagined in this interactive storybook designed for smartphones and tablets. You can pick up your free copy of It’s the Great Pumpkin, Charlie Brown by clicking here or typing in http://tinyurl.com/appdeal into your computer’s web browser. Enter to Win a New Kindle Paperwhite with 3G! Just 16 more hours to enter for your chance to win the Kindle Paperwhite with 3G! Make sure you have signed up, but why not let your family and friends know about it, also? Here are four FREE Kindle books for you to check out this morning: as of this posting, each of the books was free on the Amazon website but please make sure you check the pricing before you smack the “buy” button as the pricing can (and does) change at any time! 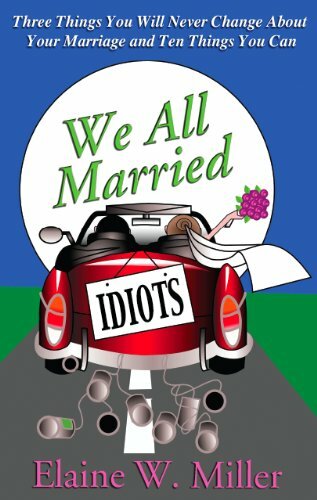 We All Married Idiots: Three Things You Will Never Change About Your Marriage and Ten Things You Can by Elaine W. Miller has received an average user rating of 5 out of 5 stars based on 34 customer reviews. I received a note from the publisher saying this book would be free for today only. USA subscribers: click here or type in http://amzn.to/Lpq8tH into your web browser to receive your free copy. UK subscribers: click here or type in http://tinyurl.com/9ahdts3 into your web browser to receive your free copy. 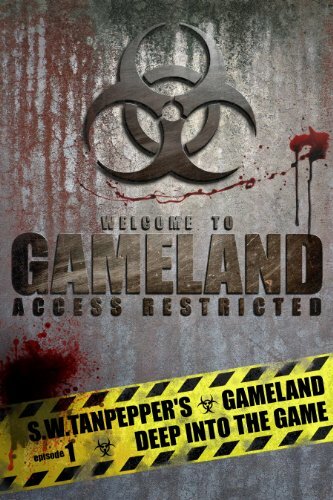 Deep Into The Game: Gameland by S.W. Tanpepper has received an average user rating of 4.5 out of 5 stars based on 11 customer reviews. I received a note from the author saying this book would be free indefinitely. In the center of Long Island’s forbidden wasteland, overseen by an omni-powerful corporation known as Arc Properties, is GAMELAND, a virtual reality arcade where the rich and privileged act out their base fantasies employing zombies as avatars. Connected to their Infected Undead Players via neural implants (government-mandated in the event of an outbreak) and using remote gaming controllers, Operators pit the Undead against one other in a high stakes game of violence, money and power. For the poor, the televised action on state-controlled Media streams is both horrifying and powerfully addictive. Volunteering to become an Undead Player is illegal, but the lure of fame and money attracts some to The Game. On a whim, a small group of computer hackers and gamers decides to sneak onto the island, hoping to catch a glimpse of the uncontrolled Infecteds, unimplanted victims of the outbreak that took place there over a decade earlier. But while breaking in turns out to be a lot easier than any of them could have ever imagined, getting back out winds up being a hell of a killer. As they soon discover, when you play The Game, you play to win. Losers go home dead. Or Undead. USA subscribers: click here or type in http://amzn.to/TT5Ht6 into your web browser to receive your free copy. UK subscribers: click here or type in http://amzn.to/ShBwgF into your web browser to receive your free copy. 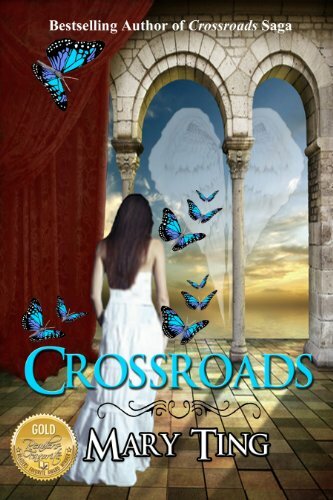 Crossroads by Mary Ting has received an average user rating of 5 out of 5 stars based on 132 customer reviews. There, Claudia meets Michael, a nephilim, a half angel, half human, whom she often meets in her dreams. It turns out that this isn’t her first visit to Crossroads, which is an enigma for no human can ever travel there until Claudia. Now the fallen and demons are after her, suspecting she must be special and it is up to Michael and the other nephilims to protect her. USA subscribers: click here or type in http://amzn.to/YmJIiW into your web browser to receive your free copy. UK subscribers: click here or type in http://amzn.to/YmJN6k into your web browser to receive your free copy. Listen to the Shadows by Joan Hall harvey has received an average user rating of 4 out of 5 stars based on 36 customer reviews. When artist Katie Summers emerged from a four-day coma, she remembered all too vividly the horror of that night – the terrifying dead eyes that had stared back at her in the rear view mirror, causing her to crash her car. But nobody believed her. Even the enigmatic and disturbingly attractive psychiatrist, Dr. Jonathan Shea, implied that she had made the whole thing up. Or dreamed it. Released from the hospital, still weak from her ordeal, Katie took a taxi to her remote farmhouse on Black Lake. Darkness had already fallen. There was only the wind in the trees to greet her…and the cold and empty house. USA subscribers: click here or type in http://amzn.to/yhHNuX into your web browser to receive your free copy. UK subscribers: click here or type in http://amzn.to/SjnevX into your web browser to receive your free copy. The Kindle Daily Deal is a one-day only offer where a specific Kindle book for adults and one for younger readers (children or young adults) has been hand-selected by the editors at Amazon and significantly discounted for today only. Today is a little different, as Amazon is offering one book for adults and three for children. 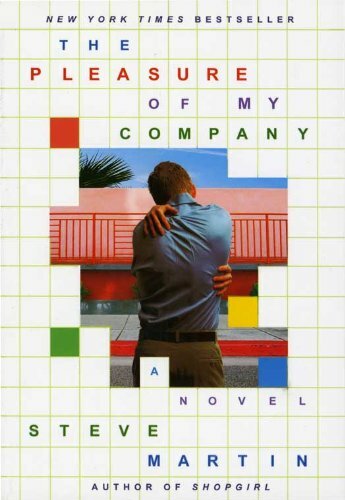 Today’s Kindle Daily Deal for adults is The Pleasure of My Company, a contemporary fiction novel by actor / comedian Steve Martin, and this book was $11.71 yesterday in the Amazon Kindle Store but has been discounted 83% to just $1.99 for today only. This book has received an average user rating of 4 out of 5 stars based on 187 customer reviews. Today’s Kindle Kids Daily Deal is three different Halloween picture books by various authors, and each of these books are $1.99 for today only. You can check each of them out if you click here or type in http://amzn.to/kddeal into your computer’s web browser. From the bestselling author of Shopgirl comes the tender story of a troubled man who finds love, and life, in the most unexpected place. Daniel resides in his Santa Monica apartment, living much of his life as a bystander: He watches from his window as the world goes by, and his only relationships seem to be with people who barely know he exists. He passes the time idly filling out contest applications, counting ceiling tiles, and estimating the wattage of light bulbs. It is through Daniel’s growing attachment to Clarissa, and to Teddy, that he finally gains the courage to begin to engage the world outside, and in doing so, he discovers love, and life, in the most surprising places. Filled with his trademark humor, tenderness, and out and out hilarious wordplay, The Pleasure of My Company is a tour de force sure to delight all of Steve Martin’s fans. You can pick up your copy of The Pleasure of My Company by clicking here or typing in http://amzn.to/kddeal into your computer’s web browser. I’m not going to list out all three of the Kids Daily Deals today in order to make it quick today – however, you can check each of them out if you click here or type in http://amzn.to/kddeal into your computer’s web browser. 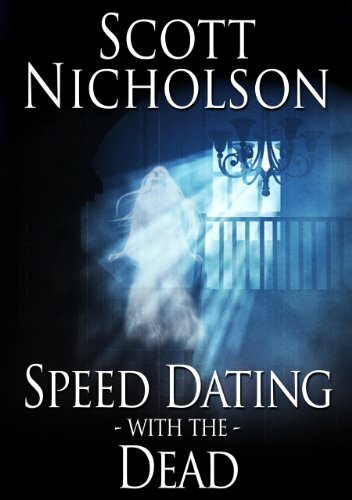 Speed Dating with the Dead by Scott Nicholson has received an average user rating of 4 out of 5 stars based on 80 customer reviews. 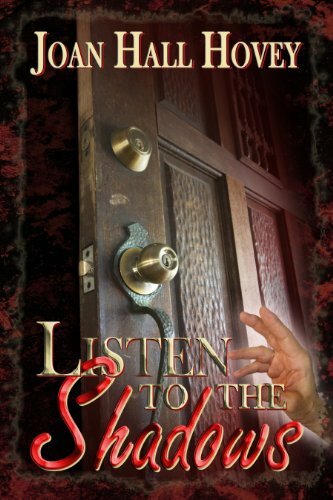 I received a note from the author saying this book would be free through October 31st. USA subscribers: click here or type in http://amzn.to/QqFPJH into your web browser to receive your free copy. UK subscribers: click here or type in http://tinyurl.com/9r8kl6z into your web browser to receive your free copy. Lost in Italy by Stacey Joy Netzel has received an average user rating of 4.5 out of 5 stars based on 48 customer reviews. Trent Tomlin put his movie career on hold to investigate his brother’s murder-ruled-suicide at his Italian villa. He’s closing in on the suspects when an American tourist unwittingly films the murder of the retired cop helping him. The killers will stop at nothing to get the evidence–including holding Halli’s family as collateral. Thrust into the role of real-life hero, Trent finds himself falling for the Plain Jane whose beauty blossoms with every challenge they face. But how can he keep the evidence from the murderers to get justice for his brother and friend without betraying Halli and her family? USA subscribers: click here or type in http://amzn.to/JPRMp7 into your web browser to receive your free copy. UK subscribers: click here or type in http://tinyurl.com/8hg7wfe into your web browser to receive your free copy. 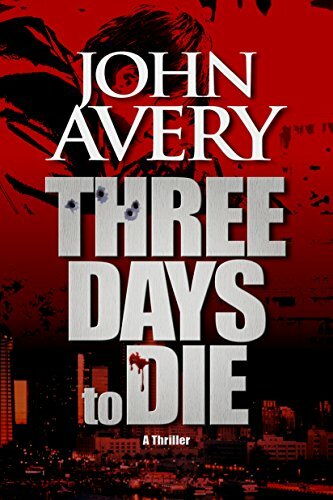 Three Days to Die by John Avery has received an average user rating of 4.5 out of 5 stars based on 55 customer reviews. Kidnapped by a psychotic killer, thirteen-year-old Aaron Quinn is forced to participate in a deadly crime spree. What must his beautiful, courageous, single mother sacrifice to save his life? A crime thriller… an action movie… a love story: THREE DAYS to DIE takes you on a perilous journey unlike any other suspense/thriller you’ve read before. USA subscribers: click here or type in http://amzn.to/LxzRnm into your web browser to receive your free copy. UK subscribers: click here or type in http://tinyurl.com/94au7re into your web browser to receive your free copy. 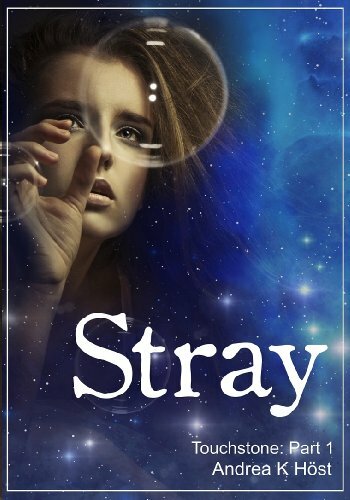 Stray by Andrea K. Host has received an average user rating of 4 out of 5 stars based on 79 customer reviews. Part 1 of the Touchstone trilogy. USA subscribers: click here or type in http://amzn.to/qdxhgQ into your web browser to receive your free copy. UK subscribers: click here or type in http://amzn.to/PjOJr4 into your web browser to receive your free copy. 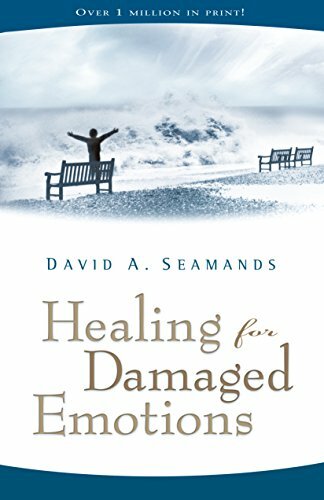 Healing for Damaged Emotions by David A. Seamands has received an average user rating of 4.5 out of 5 stars based on 42 customer reviews. Healing for Damaged Emotions, first published in 1981 and since translated into over 15 languages, has helped over a million readers worldwide deal honestly and successfully with their inner hurts. Through the realistic, scriptural approach that Dr. David Seamands brings to this deeply personal subject, you too can find healing–and then become an agent of healing for other strugglers. USA subscribers: click here or type in http://amzn.to/PFr2ea into your web browser to receive your free copy. UK subscribers: click here or type in http://amzn.to/T271LM into your web browser to receive your free copy. Just Two Days Left to Enter! Just one more day to enter for your chance to win the Kindle Paperwhite with 3G!